Fairly shockingly xenophobic! Funnily enough, this doesn't make it into Josh Fox's AAF video. Anyway, the main part of the visit was to the Mannings in Franklin Forks, which presents another interesting fracking story, fairly representative of how much things have deteriorated in these parts. I think, whether you are pro or anti, you'd have to agree that the debate surrounding it is now a big murky mess, and any semblance of trust has evaporated on both sides. Of course, WPX, the gas drilling company disputes that they are the cause of contamination. 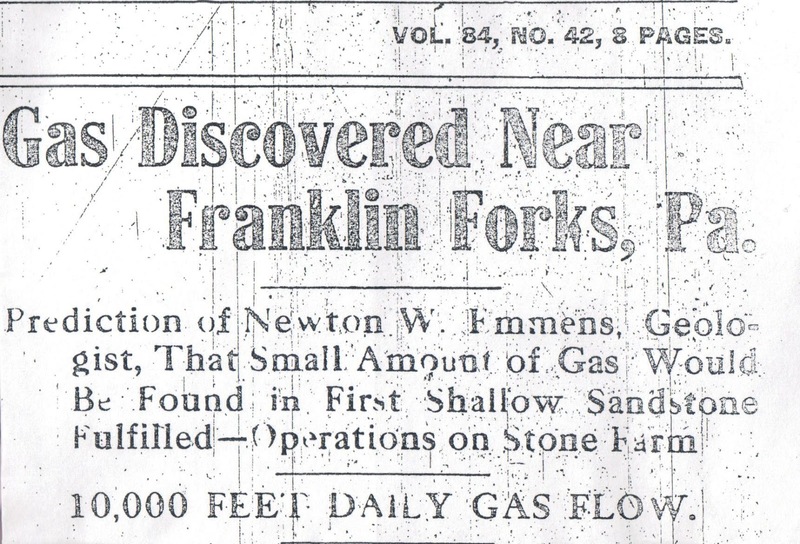 They argue that shallow natural gas accumulations are common in the area - indeed records of shallow gas seeps are found as far back as 1921, and water quality in the area is reportedly poor anyway. The upshot now is that the lawyers are involved, and WPX employees are no longer allowed on the property. The first thing that strikes me about these videos is that everyone has now resorted to shoving cameras in each other's faces. Everyone filming everyone else. A complete lack of trust all round. 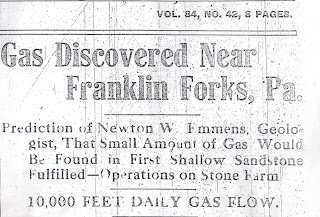 Isotopic testing of the gas appears to suggest that the gas has a shallow origin (i.e., is not from the shale formations). However, the only results published are from WPX testing, everyone is still waiting on DEP results. All in all, I think this shows what a mess the situation appears to have become. Communities are tearing themselves apart over this, and that's due in equal measure to the activities of both the pro- and anti- sides. Determining water that is often naturally bad from water contaminated by fracking (and many, if not most, oil and gas fields have naturally occurring shallow accumulations) is not an easy problem. And it's a situation that is wide-open to manipulation and distortion from both sides. Plus, America being full of lawyers, things get even more complicated, to the point where everyone now seems to be videoing everyone else. Certainly, the classic tale of little local people defending themselves from nasty big corporations is not really applicable, despite how attractive that story may be to the big Hollywood names on a day-trip from NYC. I don't think the AAF video even touches the complexity of the situation.